Join Luke Deal on BBC Radio Suffolk. The start of your weekdays and Saturdays. 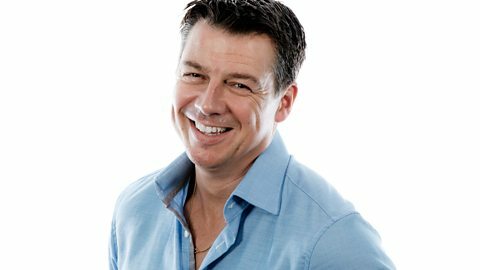 Luke started work at BBC Radio Suffolk as a programme assistant in 1996, but his BBC career started more than 10 years earlier as a film critic on BBC Breakfast Time with Selina Scott and Frank Bough. "In all, I made 12 appearances during the school holidays on the famous red sofa reviewing the latest cinema releases," said Luke. In 1998, Luke took a career break and joined the low cost airline Go as a trolley-dolly, but in March 2000 he returned to BBC Radio Suffolk as a radio-car reporter and is still in that role today. "It's such a great job - I cover a wide range of stories and get to meet all sorts of interesting people." Luke now sets his alarm for 0430 six mornings a week to present Early Breakfast and Saturday Breakfast which includes the Gardening Hour...... if you see him out in the early mornings, best offer a large mug of tea and a bacon butty (brown sauce)!